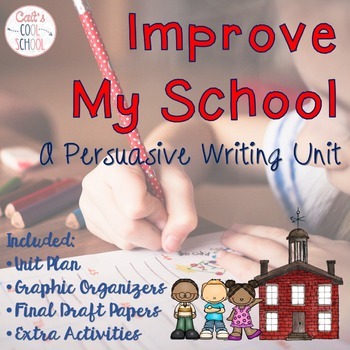 Persuasive writing project that's motivating for students! 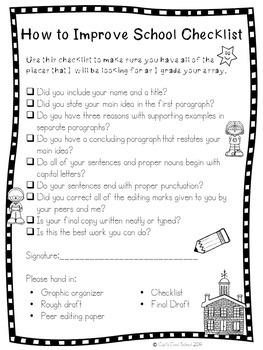 Students will come up with their own idea for how to improve their school and develop a strong persuasive writing essay about it. 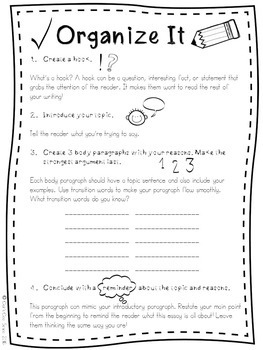 Everything you will need is in this unit, including graphic organizers, peer editing worksheet, writing checklists, and more! Check out all of my Writing Project Units.